One of the joys of blogging is that it opens us up to different perspectives and points of view that we might not otherwise hear. With that in mind, this month’s interview about blogging and blog techniques goes boldly into another new area: group blogging! 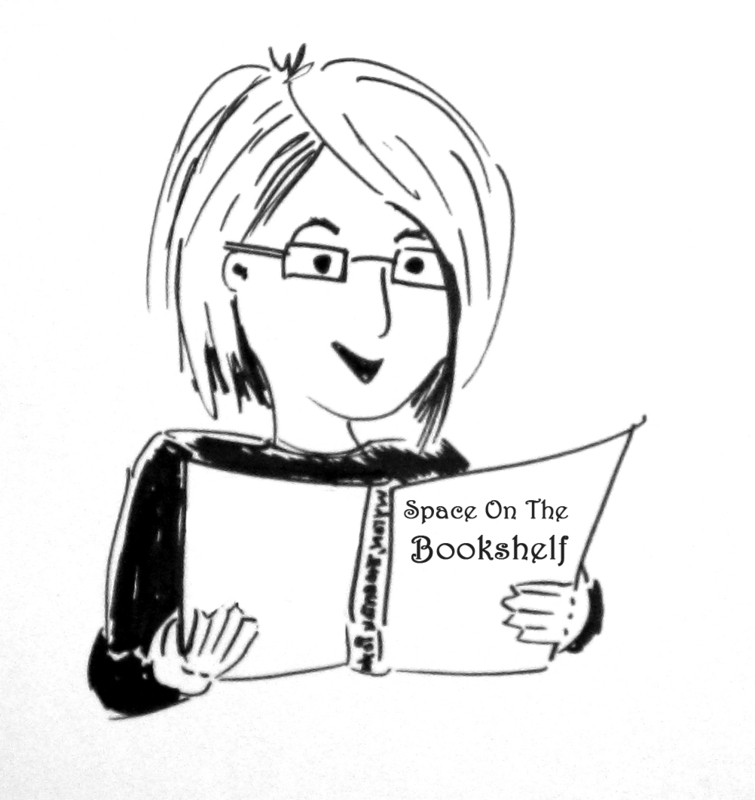 I’m delighted to be joined by the crew behind Space on the Bookshelf – Sally Poyton, Nicki Thornton and Claire McCauley. It’s a team of people I know in the real world too, as we’ve all been in the same SCBWI critique group - though not necessarily at the same time! Sally, Nicki and Claire – I’d normally do the introductions for this interview, but as there are three of you, perhaps you’d like to introduce yourselves? Sally – I’ve always loved stories however they’re told, whether written, drawn, spoken or visually realised on the silver screen. However, it is written stories that fascinate me most, and after many years of believing I wasn’t allowed to write, I started writing. The writing rekindled my love for reading and this, along with teaching my children to read, made me passionate about sharing the gift which is the love of stories. Nicki – A lifelong passion for books and writing (I was originally a journalist and then an editor) led to me opening an independent bookshop. Ten years on, what has become very dear to our hearts is how crucial it is to keep children reading for pleasure. I talk to children, parents, teachers and librarians every day about identifying the right books for individual children to either discover, or sometimes rediscover, a love of reading. Claire - lifelong lover of children’s stories and fiction in general. I have 5 good excuses to read plenty of children’s books - my children, aged between 4 and 13 - but really I don’t need any excuses, and even before having children I had scintillating hobbies like collecting Chalet School books. I’m also a writer and especially love escaping into the mind of Middle Grade protagonists. Sally - When we started SOTB way back in 2012, the team was made up of me Sally PoyTON, Nicki ThornTON and Jo WyTON. I suggested we be called ‘Three Tons’ or ‘Tons’, but for some reason it wasn’t very popular. That is the nearest we have ever got. Claire - Shelfies?! Though that could easily be confused with shellfish, to which I’m allergic, so perhaps not. OK, on to the (slightly more) serious stuff. Can you tell us when and why you started Space on the Bookshelf? What’s the philosophy behind the site? Nicki - The book trade is a huge ecosystem. Once you scratch the surface you start to fully appreciate how many committed people make a difference to children’s reading – and getting children reading is really important, particularly if you like to write. Anyone who loves books and is involved in some way with books – from the people in publishing that you never get to hear about (the reps, the jacket designers) to the humble bookseller and the parents who give up their time to help children with your reading, (and authors) – all are simply part of a really important ecosystem, but they don’t always seem to know much about each other. In an era of declining literacy and overall popularity of reading, and falling book sales and author incomes, we like to think of Space on the Bookshelf as being a small corner of the internet where we can celebrate the very important work of just a few unsung heroes. Sally – We started in 2012, by Nicki Thornton, Jo Wyton and myself, but SOTB has evolved since, then, sadly losing a founding member but happily gaining the lovely Claire McCauley. Having said that, the philosophy has remained the same; to create a blog that celebrates children’s literature and those that champion children’s literature. We believe that all children love reading, it’s just that some children haven’t found the right book yet. Space on the Bookshelf tries to help them do this, by providing reviews, interviews and features aimed at children, parents, teachers, librarians, and other people who may be too busy to keep up to date with all the new books which are published. Claire - Encountering it first as a reader and parent, it seemed to me that the philosophy was highlighting well-written and appealing children’s books to decision makers. Although my children have strong ideas about what they want to read, invariably they sometimes ‘run out’ of books, and it’s at times like that when I really appreciated the thoughtful reviews that Nicki and Sally were offering on Space on the Bookshelf. How do you divide and manage the blogging work between the three of you? Do you have a set schedule for when posts go live? Nicki - Again, we don’t have. But now you’ve come to mention it, probably it would be a great idea. It’s very much a passion and a hobby and everything flows from that rather than planning. Sally - We have certain features that run through the year which provide a structure to work around. These features include our Carnegie Shadowing in late spring/early summer, and then the Book in Every Stocking campaign in December. We tend to have an organic plan (of sorts) that fits around the annual features. Claire - We share out series of reviews, such as Carnegie Shadowing, equally between the three of us. But other blog posts tend to be written by whichever of us came up with the idea (something I need to get better at! ), or we sometimes each contribute a paragraph or two. Some of my favourite posts have taken this format, such as one a few months ago about out of print fiction. 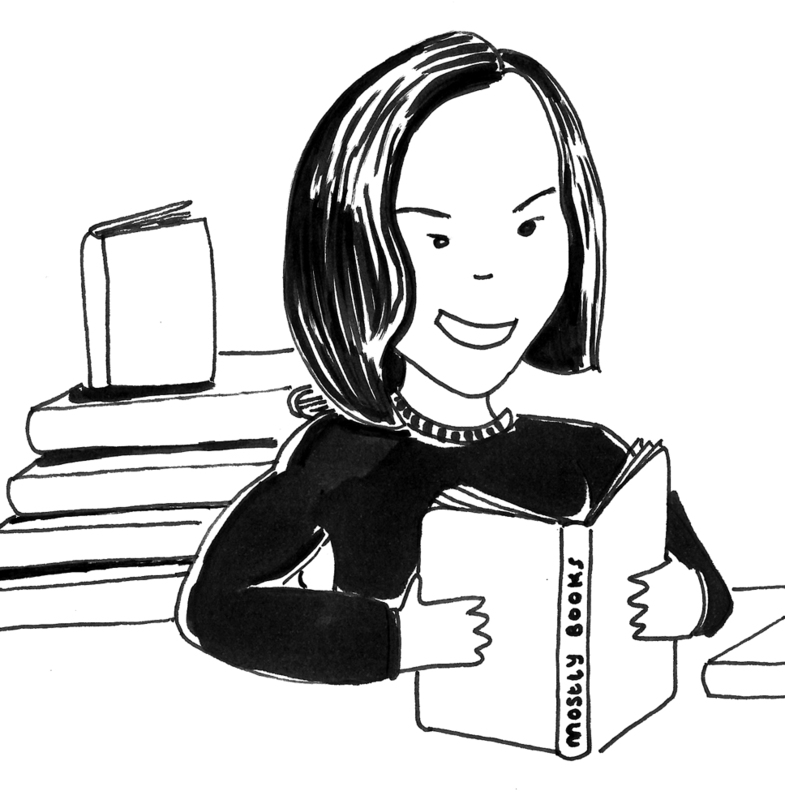 How do you decide what books to review for the site or which areas to focus on? Is it simply about what each of you is passionate about, or is there a broader strategy in play? Claire - We all contribute ideas and reviews for books that we’ve loved, or (almost more importantly) that our children are excited about. For example, my children enjoyed exploring the Royal Society’s Young People’s Book Prize shortlist last year, so I reviewed those books and announced the wonderful winner, Eye Benders; The Science of Seeing and Believing. Sally – Being dyslexic and having experienced difficulty and ridicule whilst learning to read as a child, one of my passions is books for ‘Challenged Readers’ which I champion through SOTB by reviewing quality books for children with reading difficulties. Above and beyond that, inspiration for features (rather like that for stories) can be found anywhere and often in the most unexpected places. Nicki - It is tempting to think there is such a thing as a ‘typical 11-year-old’, but readers will always be individuals and what we are always looking for when we review books is those books that are just that little bit different. Those books that people might not discover if they don’t get championed – books that perhaps appeal to a different sort of reader from the mainstream or those getting review attention. You can only ever achieve a small amount, but we are always ridiculously pleased if the books we champion go on to do well. If books we pick then get onto prize lists then there is much more chance that other people will discover them too and they will remain in print. We loved championing Katherine Rundell’s Rooftoppers. That was a book with a kind of old-fashioned storytelling feel, without a big concept, that came out in a very quiet way that no-one expected to be a huge seller. Yet anyone who read it simply loved it. 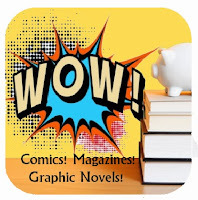 One of your key innovations is the 3D book review. Can you explain how it works and how you came up with the idea? Nicki - You have to get buy-in by so many people in order to successfully build a readership and a career as an author. Getting a book into the hands of its target reader is the end point which might have started years ago as the germ of an idea in an author’s brain. So much happens in-between. The 3D review is a chance to look at the book from the different viewpoints of the people involved in the process. The most successful books do seem to be the ones where the author has a clear vision they have worked hard to achieve, found an editor who shares their values, can find a way to appeal to adults who will buy the book – and if children read it and enjoy it they will look for another book by the same author. Everyone is happy! There are dozens more committed people involved in getting the right books into the hands of the right readers, but we thought a 10D review might be a bit much. You get a lot of contributions to the blog from teachers, librarians and people in the publishing industry. How hard is it to persuade people outside of your peer group to get involved, and does that involvement help to drive traffic to the blog? Claire - It was great to discover, when I joined the team, how well known and liked Space on the Bookshelf was by teachers and librarians. This makes it much easier than it could be to get contributions. Nicki - Many of the people we feature are committed professionals or volunteers who work very much behind the scenes, although they make a huge difference to children’s reading. They are not used to appearing in the spotlight, but we think that’s what makes our blog special. We know it is read by lots of people involved in boosting children’s reading for pleasure, which is what all three of us are very committed to. Sally, you have your own blog as well. How do you decide which site a particular post is going to appear on? Sally – Well, my blog has been sadly neglected of late due to heavy edits, and lots of serious and time-consuming life stuff, but SOTB and my personal blog are different. I try to focus my blog on three main aspects; fairy tales, dyslexia and my personal writing endeavours. This means it is pretty straightforward working out what features are best suited to each blog. Nicki, you run a bookshop (Mostly Books in Abingdon, Oxfordshire) as well as being an author and blogger. What kind of perspective does that lend you when you’re writing book reviews? Nicki - Working in the book trade is fascinating. Being a fledgling author working in the book trade is pretty scary and you do start to notice the difference between those authors who succeed and fly, and those who crash and burn. There is a hunger in the trade for debuts and there has probably never been an easier time to get into print – as a bookseller you can identify that the biggest challenges an author faces are discoverability, growing a readership and staying in print. If you find an author you like, it means you are really motivated to help them succeed. At least make a commitment to try to buy all my books from physical bookshops and make very good friends with indie bookshops (buying books from them always helps!) 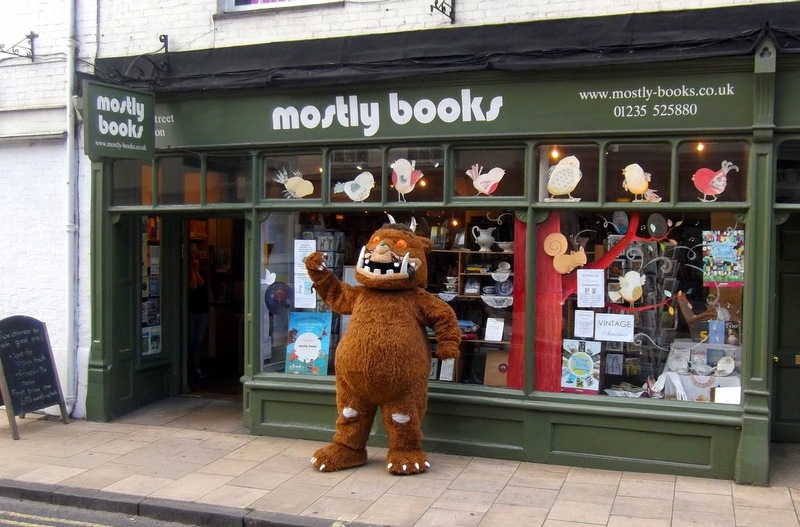 – there are a lot more authors out there than there are indie bookshops, and bookshop owners often feel under a lot of pressure to support authors. Make sure you are one who is supported by showing support yourself! Do as many physical events as possible (from my experience one hour of face-to-face contact, e.g. in a school, is worth about 100 hours on twitter and blogging or internet reviews). 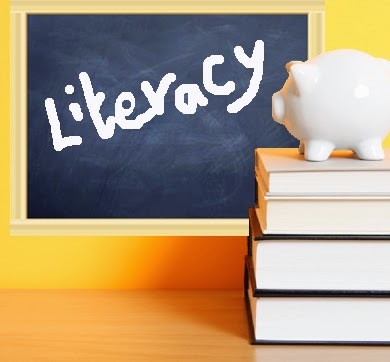 I believe every author should make a commitment to children’s literacy. Donate a minimum of a handful of hours a year volunteering to boost literacy and love of reading in general, either helping kids read, or working in a school library, or fundraising for library funds (good school librarians are another endangered species that threaten discoverability). If you are a children’s author and not signed up to Read On Get On, go and do it now please! I talk to children, parents, librarians and teachers every day about finding the right books to keep children reading, and I feel I can never do enough to put the right books into the hands of the right children. Ultimately SOTB gives me a further chance to do that. If it keeps children reading, I will do it! 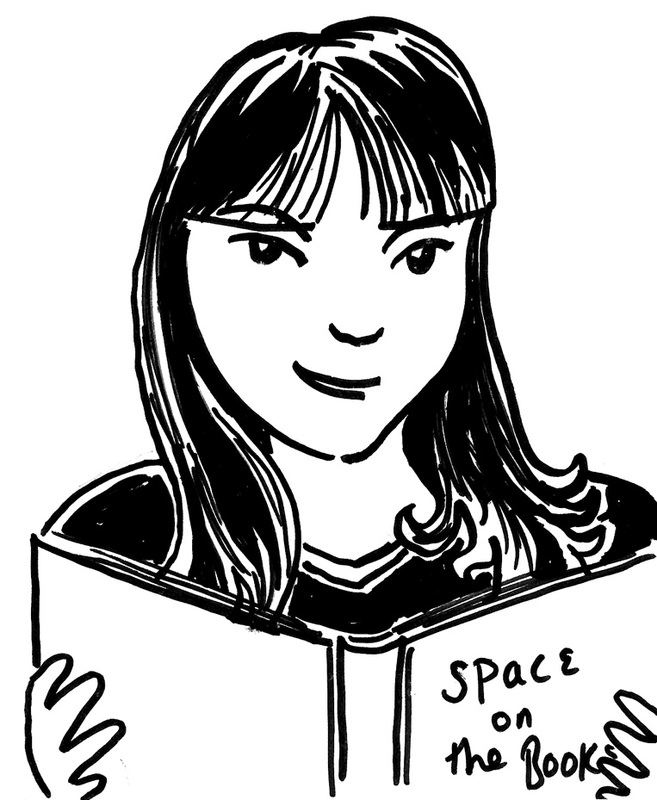 Claire, you’re the newest member of the Space on the Bookshelf team. What was it like joining a blog that was already established? Claire - I was thrilled to be asked to get involved because I was already a subscriber, so I knew that Space on the Bookshelf met a real need for regular, thoughtful reviews aimed at people who want to help children find great books that suited them. I also felt thoroughly spoiled that the hard stuff of choosing a name and establishing a readership was already done! All I have to do is read wonderful books (most of which I’d have read anyway), and indulge in the pleasure of writing about them. Finally, what are your plans and ambitions for the site over the next year or two? Nicki - Too numerous to mention. Too many books. Not enough hours in the day to do justice to and too many people we would like to pay tribute to, so we have to be content with doing our best. Anyone want to join us? Sally - As Nicki said, Load of ideas and plans, but all top secret and hush-hush, no spoilers here! Claire - On a personal level, with my youngest child starting full-time school soon, I’ll have more time. So I’m aiming to be able to contribute more regularly. Sounds exciting! Thank you Sally, Nicki and Claire for your time, and for engaging with my questions in such a thoughtful way. The Ten-Minute Blog Break will return next week. Thanks Nick for featuring us, it was fun to be an interviewee rather than an interviewer!